In years past, when searching for 10mbps ethernet, we were frustrated to find that no online real-time price system existed. We decided to build 10mbpsethernet.com to fill the gap. With a staff of researchers, we determined how commercial telecommunication carriers price their products and more importantly, how to get XML access to their pricing algorithms. With the resulting information and experience, we created and patented a system that gives us a bird's eye view of every type of carrier data and voice product. We have made a limited view version of this software available for you to use, free of charge, on this web site. The rates, availability, and terms are updated daily to give you the most up-to-date information possible. The days of having to contact a myriad of companies and then wait days or even weeks for them to send you back a price quote are now a thing of the past. Although we have the world's foremost technology to help match you up with the best possible solution(s), our team of knowledgeable experts really sets us apart from the rest. These experts make sure that we zero in on the best product to fit your requirements, check for additional discounts that are not shown publicly by the automated system, and with the carrier that you choose, assist you with completing the order paperwork and traversing the provisioning process. Our team of unbiased Telecom professionals allows you to benefit from their experience and knowledge and helps you make the best decision for your business, whether or not you know a lot about telecom. Helping you interact in an easy and straight-forward manner with the telecom carriers is our business. Since every carrier, with whom we work, compensates us, you can rest assured knowing that we will recommend the carrier that is best for you. What you see today is just the begining here at 10mbpsethernet.com. With our core team of Telecommunications experts and web developers we will keep moving forward, producing new software which quote in real-time to assist you find the Telecom Carrier services that best fit your needs. As they prove their value, we are adding more carriers to our portfolio. As we add more carriers, with more products, you will have more options available to you. Check back with us regularly, especially when you are around six months away from the end of your current contract, to see what new services and price points are available to you. We are not looking to help you with just a single purchase; we want to win your confidence so that we become your trusted telecom advisors for life. If you wish to contact us, do call or email us at your earliest convenience. We will do our best to promptly respond to your inquiry. With our Real-time Ethernet pricing software, getting an Ethernet price has never been easier. You can use your time for real analysis rather than hunting down information. With the information we present, you'll have the information you need to determine the right plan to satisfy your requirements. Now you won't have to hold for 45 minutes for some phone companies just to find out how much your service will cost. Persimmon Telecommunications is an information service and that's exactly what you get....Information without the sales pitch. An agent will usually contact you soon after you have received your price quotes. Don't be concerned! These agents are not out to pressure you. 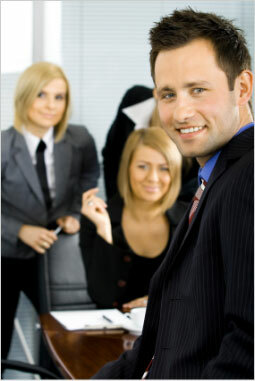 Rather their expertise is available to help you further investigate the services and carriers you see on your quote. We recommend the use of agents in any search for service and we also recommend using a broker to sign up for your service. Some figure that they will "beat the system" by contacting a broker to quickly get prices and other information and then going straight to a carrier thinking they will get better service. This "end-run" process is actually a good way to cut yourself out of some of the biggest advantages of having a broker. We don't mark up the price of services. We offer the same price (or sometimes a better price) than you would get if you did go direct to the company. Think of the employee pay and benefits that a carrier saves by having fewer sales people and only paying us a commission when we produce. One advantage of ordering through a broker is that you will get an independent Telecommunications expert to review your needs and help assure you choose the most appropriate solution. We are also a second channel for customer service. If the company is not performing to your expectation you can relie on us to assist you. Since we place a significant volume of business with every carrier that we represent, we are much more likely to get the carriers attention to better address your issue. In our opinion, real time pricing and an agent/broker is the win-win situation for you and for us!